Lake Shikaribetsu is a famous tourist spot where tourists constantly visit regardless of the season. It is located in the east Tokachi area of ​​Hokkaido, a lake that spans the northern Shikaoi-cho Town in Tokachi and the southwestern part of Kamishihoro-cho Town, the altitude is about 810 meters, and in Hokkaido it is located at the highest altitude. In the winter, the lake freezes, and villages made by human hands appear. It is “Shikaribetsuko Kotan”, and many tourists visit as events that can be enjoyed only during this period. “Kotan” means “village” in the Ainu language, and it is an event that people who visited become residents and have experience of the coldness of winter. The inside of the ice dome, which sticks to details, is so beautiful that it can be said as art, but you can enjoy just by watching ice sculptures. Ice objects are lighted up at night, and ice and light celebrations invite you to a world that is unlikely reality. On the lake there are many ice tents called igloos and you can enter inside. 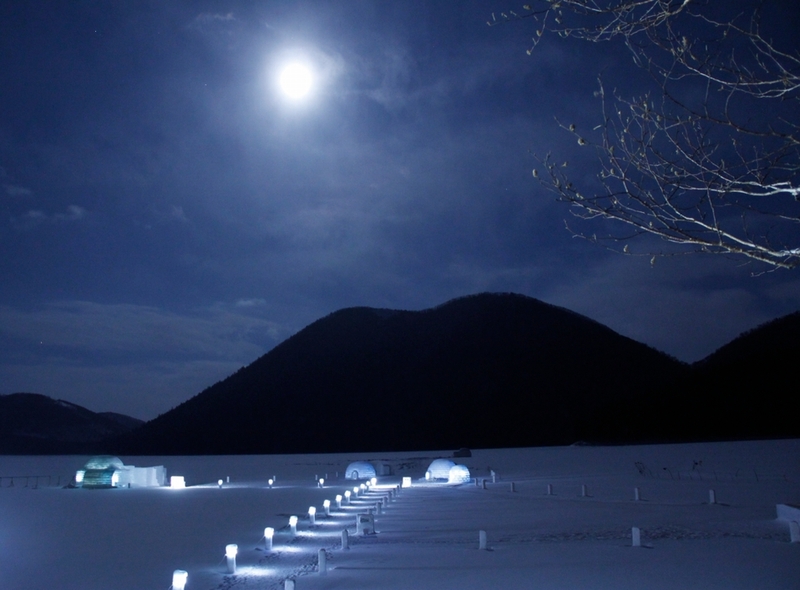 There are many igloos made on the ice of Lake Shikaribetsu, and various events are held. These events are held late at night, so after having enjoyed Kotan you can taste the nature as much as you can watch the starry sky. The building with the ice sculpture is very high quality. It is also one of the fun of “Shikaribetsuko Kotan” that you can appreciate many ideas and technologies packed in it. The popularity of Kotan that can fully enjoy “cold” and “ice” has spread rumors abroad, and it has evolved to an event that is drawing attention from all over the world now. Lake Shikaribetsu that altitude is the highest in Hokkaido is the only natural lake in Daisetsuzan National Park. 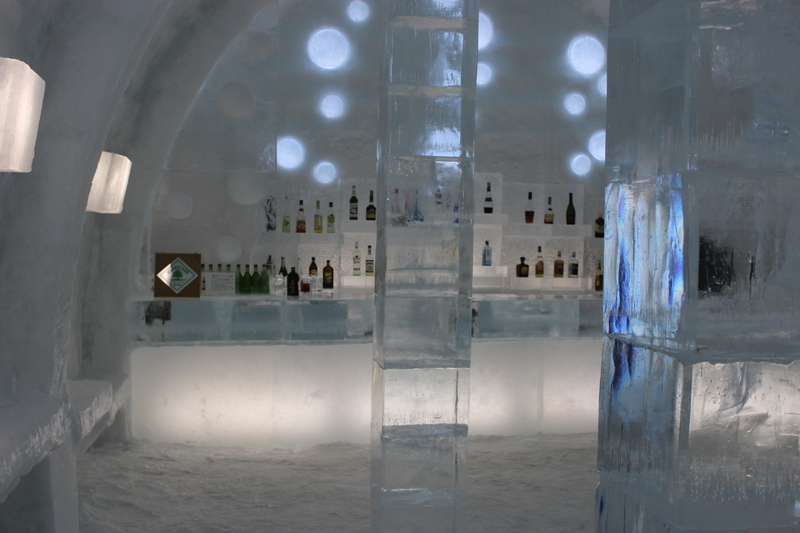 During a period ice pub and outdoor bath on the ice, the ice lodges which can enjoy a staying experience, various igloos (ice house) stand. “Kotan” is the word of the Ainu race and is the meaning of “a village, the community”. 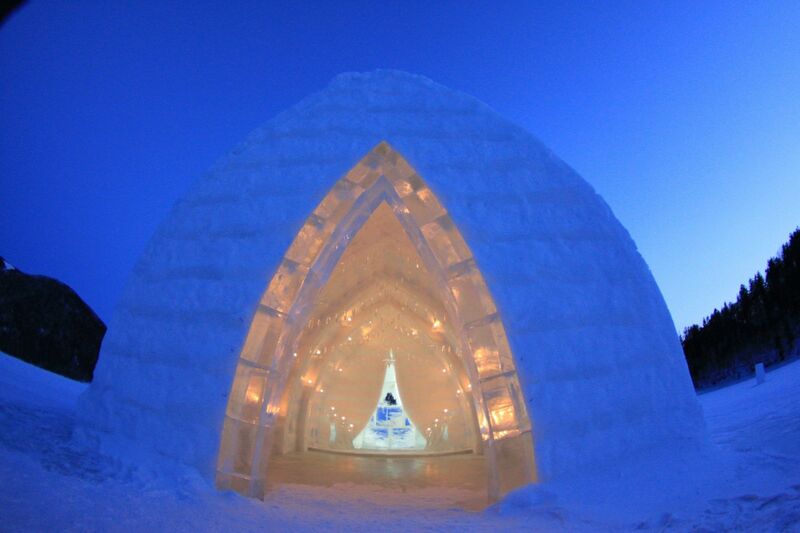 People made a building “igloo” made with snow and ice to enjoy in the deep of winters of Hokkaido to their heart’s content. This was the start of the Shikaribetsuko Kotan. 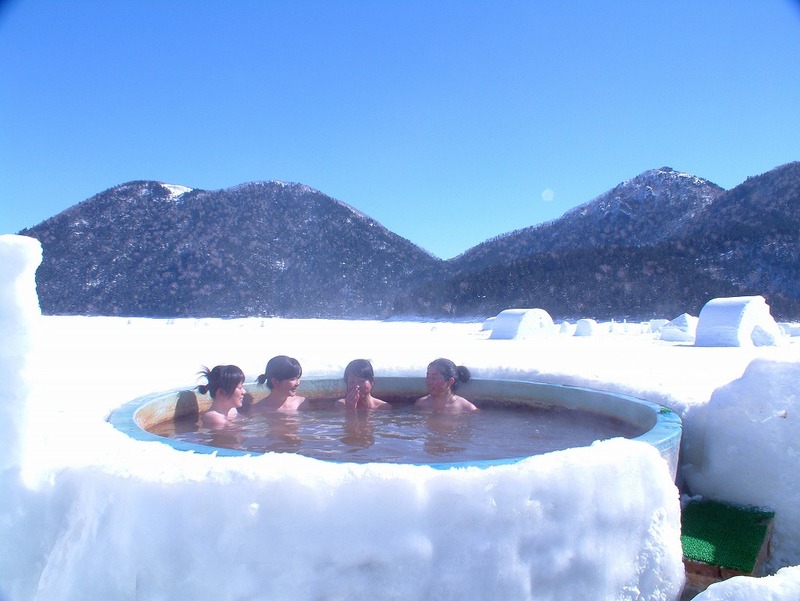 During the period of this event, an outdoor bath on the ice which can experience only at this time comes up. It is the natural hot spring in a high quality, and the changing rooms are made with the snow and the ice. Because the entrance fee for the hot spring is free and it opens from 6:30 until 22:00, you can enjoy an open atmosphere only in Hokkaido of the cold winter. 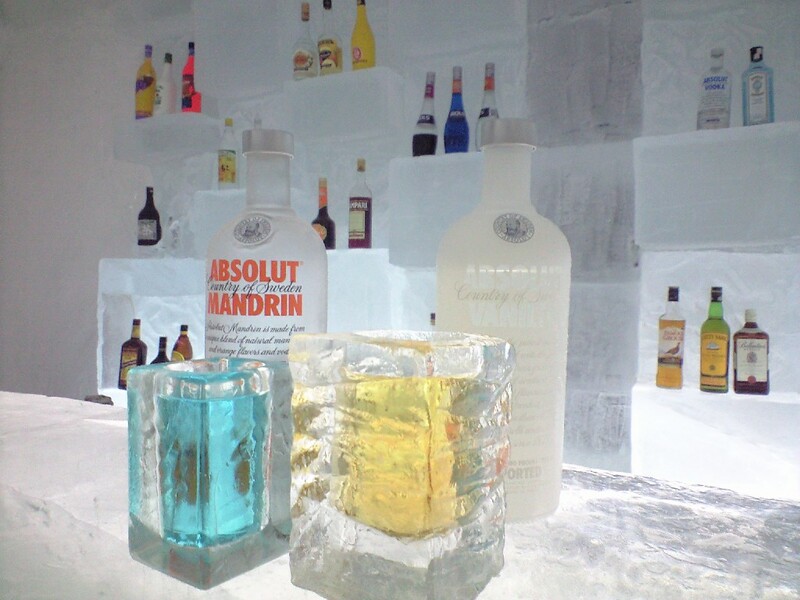 In “the ice pub” which can drink delicious liquor with a glass made of ice, not to mention hot drink warming a cool body, the original cocktail is prepared. You can enjoy cocktail, a soft drink for one cup of 500 yen.